The Dentists at Fenwick Dental provide same day emergency dental treatment to patients in Ocean City, West Ocean City, Bethany beach, Millsboro, Lewes, Selbyville, Ocean View and surrounding areas. Our dentists at Fenwick Dental provide free consultations and second opinions. After the consultation, we will develop a treatment plan for you and decide what treatment is necessary. We accept credit cards, cash and checks from our local patients. We also provide convenient payment plans through a third party called Care Credit. To find out more about financing options, please call our office or fill out our online form. 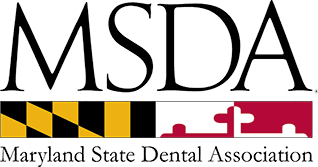 How to find an emergency dentist near me in Ocean City? When looking for a local dentist, ask if they provide same day emergency service. At Fenwick Dental we reserve the necessary time during our business hours to care for emergency patients. We set time aside in our schedule every day for specifically for emergency dental appointments. We can help you with any type of dental emergency as we provide the majority of dental services including extractions and root canals. Our business hours are Monday through Thursday 8:00 am to 4:00 pm and Fridays 8:00 am to 1:00 pm. We are open select Saturdays from 8:00 am to 1:00 pm. Please call or contact us online to make a dental appointment. We are by appointment only. Clove oil, orajel and over the counter pain medications are some of the remedies you can use before you see us. Clove oil has eugenol in it. Eugenol has soothing effect that calms the nerve down. But you should not use oil directly as it is strong and it may burn the gum or tongue. You should apply few drops on the cotton and place cotton near the painful area or chew a whole clove. Sometimes orajel helps to numb the painful gum area. Orajel is a topical anesthetic that gives relief for a few minutes. Over the counter pain medication like Ibuprofen, neproxen and tylenol help to relieve pain. However you should consult your doctor or dentist before taking pain medication if you have allergy or serious medical condition. If your face swells up due to infection then you should see a dentist right away. If you have swelling that progresses to your neck or eyes then you should go to ER right away as it may lead to serious complications. Unfortunately most toothaches happens during the evening or at night time when most dental offices are closed. That is why routine dental check ups are necessary to prevent dental infection and pain. What do I do if a tooth is knocked out of the socket? if you have knocked your whole tooth out then you should gently rinse the tooth with water. Do not scrub the tooth. Place the tooth back into the socket. If you can not do that then place the tooth in your mouth between gum and cheek or in a glass of milk. How to fix chipped tooth near me ? If a tooth is chipped or broken, we can restore the tooth by bonding or filling. If a tooth is painful and the pain is lingering more than a few minutes we may either do an emergency root canal treatment to save the tooth or we will remove the tooth.